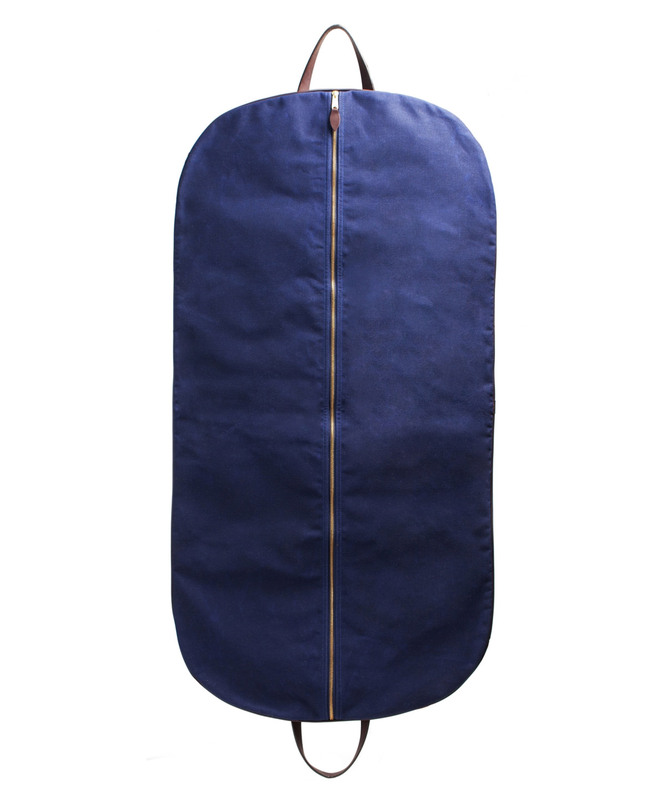 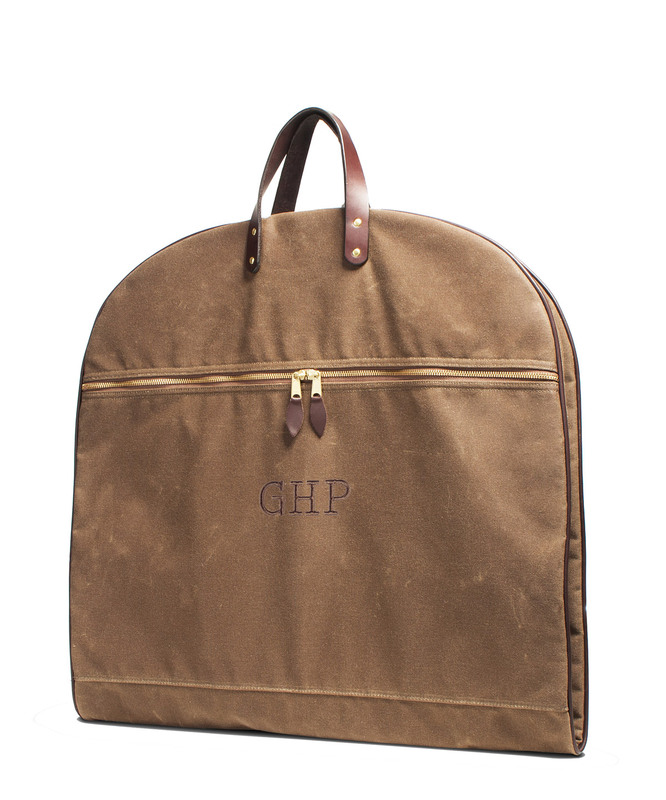 Our Huntsman Garment Bag is designed to transport and protect suits, blazers, and other garments you would not want to fold multiple times. 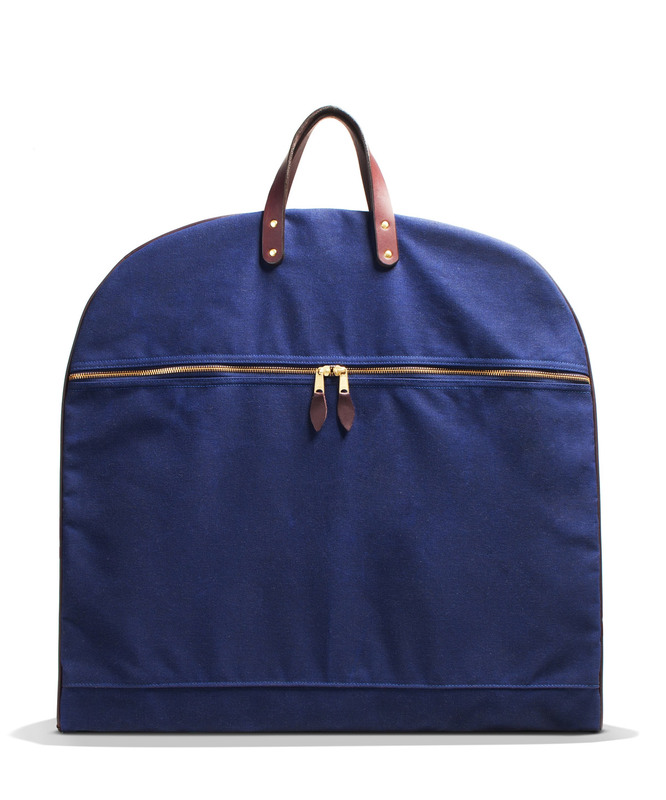 The bag is constructed of heavy vintage waxed canvas and fully lined with nylon for smooth insertion and removal of garments. 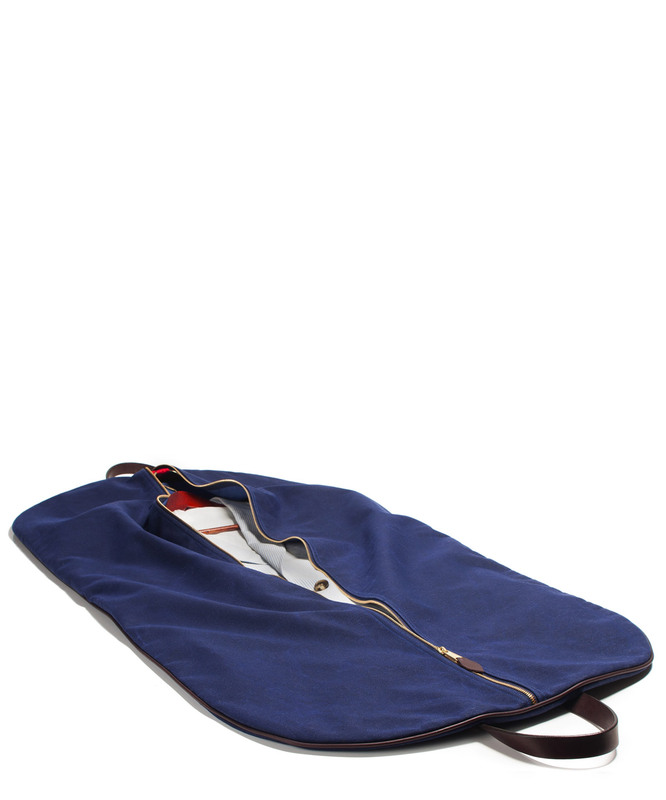 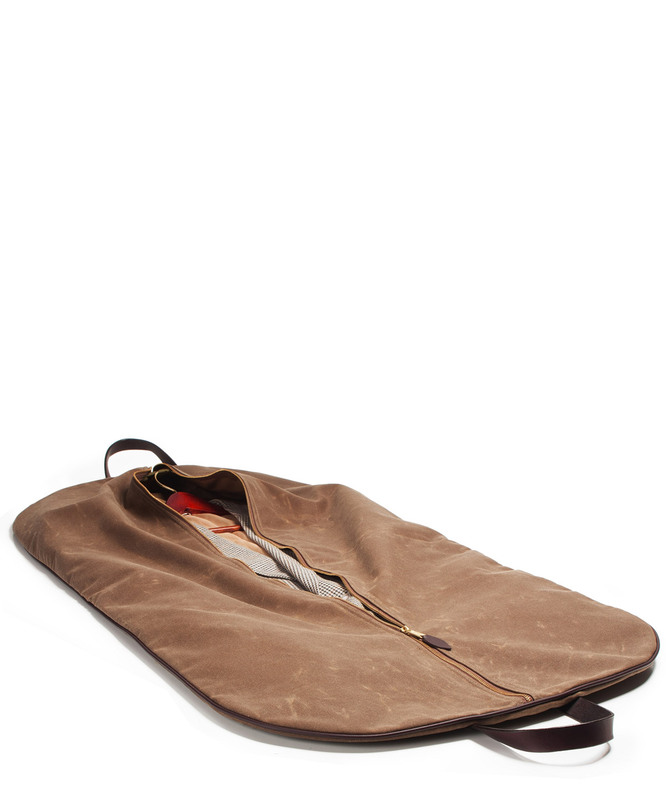 Rugged bridle leather handles are riveted in place so you can fold the bag once and carry it easily. Inside, we've built in a hanger attachment allows you to keep your hanger hook inside, or extend it through the top to hang the entire bag. 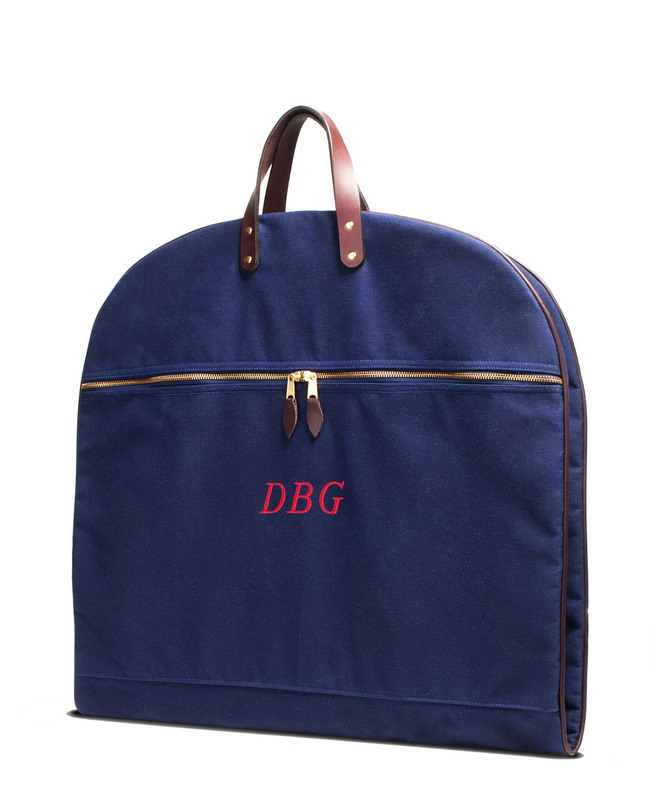 A full length brass zipper allows easy access to the main compartment, while extras may be stored in the convenient side compartment. 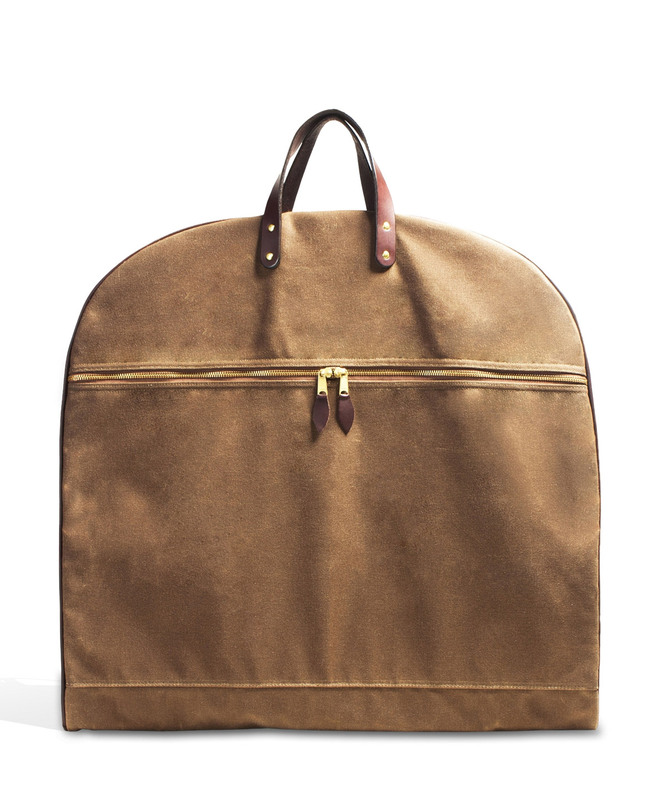 Matches our Huntsman Travel Bags and Organizer.